Muskoka Dance Connection - "Let Them Be Little"
Any seat is a great seat at The Caisse!! If you have special seating requests, please let us know when you call our mobile box office for tickets or send us a quick note on the final review page of your ONLINE sales cart. We have availability for 4 wheelchairs and row F is the aisle to choose if you have mobility issues. Please note... 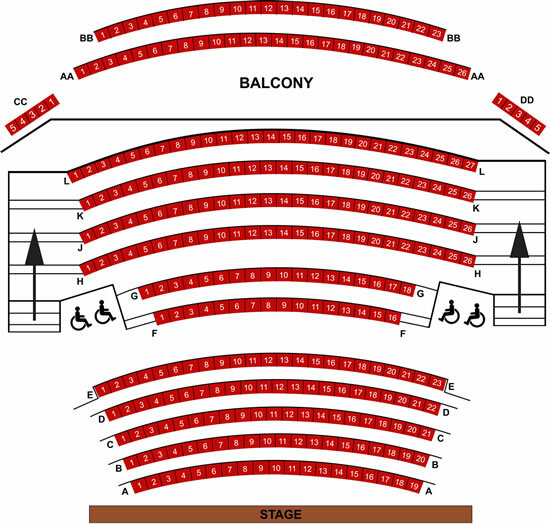 The Rene M Caisse Theatre does NOT have an elevator to take people up to the balcony If you have mobility issues, please book tickets on the main floor of the theatre.